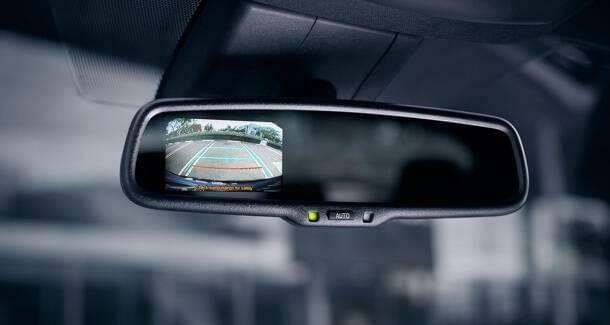 I recently drove my son-in-law's Tacoma that had this rear view display superimposed in the rear view mirror. I found it to be hard to see and worthless to me. 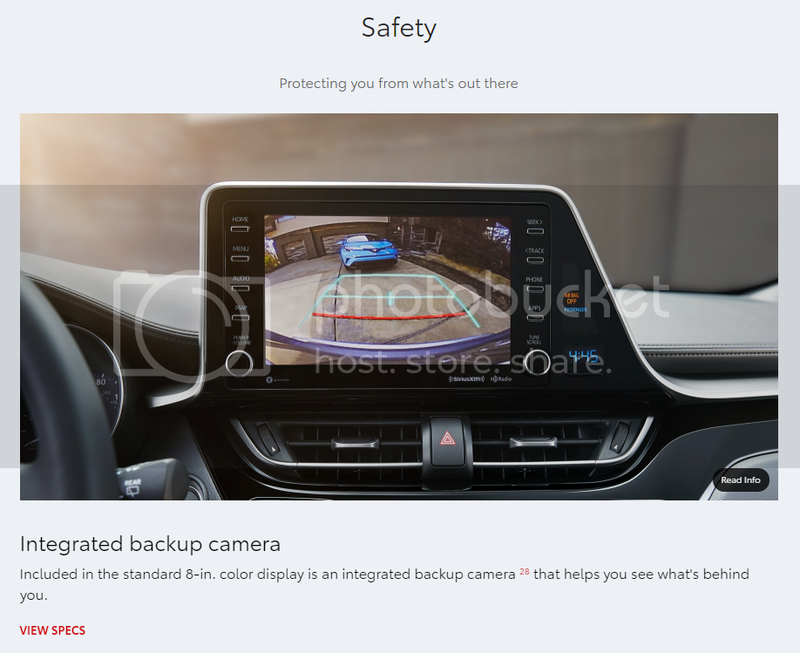 No, it DOES have a rear view camera, just not an implementation you like. But I get your point and JuneBug's. Point of clarification. Wait. Has there been a mid-model year refresh? 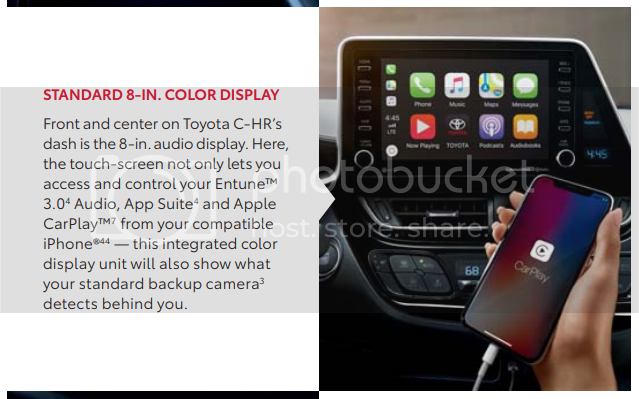 Because Toyota's website and e-brochure both show the backup camera using the LCD display on the dashboard. Would love to see this car with an AWD option. With the added weight they will have to up the hp. Also a 6 speed manual gearbox AWD would have me buying one like "HERE TAKE MY MONEY NOW!!!"